In 1965, the first U.S. combat troops arrived in Vietnam. Ten years later, Saigon fell. Today marks the 40th anniversary of the Fall of Saigon (now Ho Chin Minh City) effectively marking the end of the Vietnam War. The Fall of Saigon was the capture of Saigon, the capital of South Vietnam, by the People’s Army of Vietnam and the National Liberation Front of South Vietnam (also known as the Viet Cong) on April 30, 1975. This event started the transition period leading to the formal reunification of Vietnam into a socialist republic, governed by the Communist Party of Vietnam. The fall of the city was preceded by the evacuation of almost all the American civilian and military personnel in Saigon, along with tens of thousands of South Vietnamese civilians. The evacuation culminated in Operation Frequent Wind, the largest helicopter evacuation in history. In addition to the flight of refugees, the end of the war and institution of new rules by the communists contributed to a decline in the city’s population. According to the National Archives and Records Administration, the number of U.S. military fatal casualties in the Vietnam War was 58,220 (as of April 29, 2008). For a detailed view and timeline of The War That Changed Everything, tap here. Abraham Lincoln died at 7:22am, April 15, 1865, one-hundred fifty years ago today. 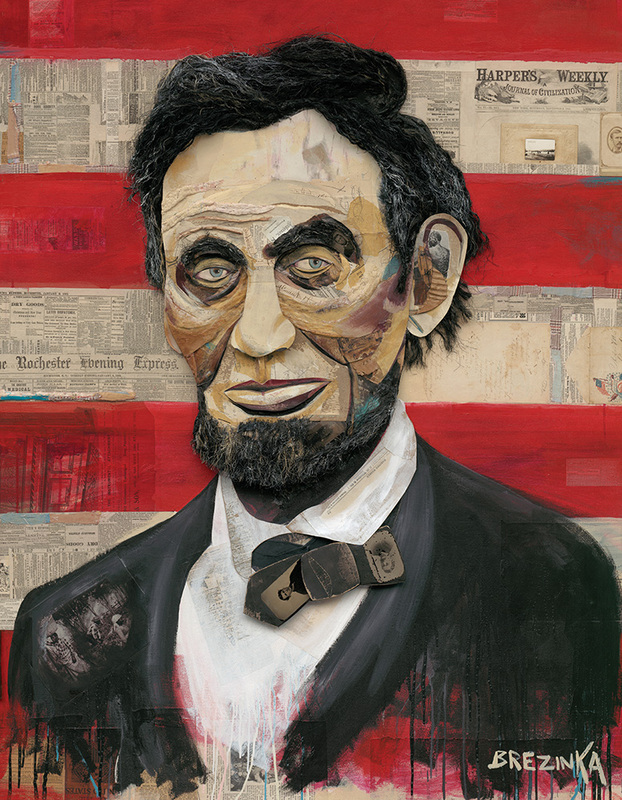 This portrait of the 16th President of the United States by contemporary artist Wayne Brezinka is currently on loan at the historic Ford’s Theatre in Washington, D.C., May 6, 2014 — May 6, 2015. 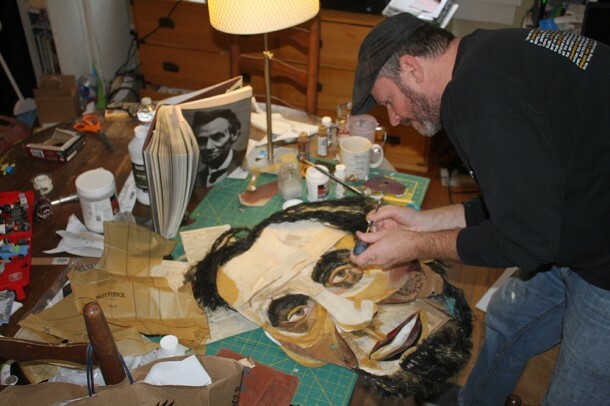 Brezinka’s 4 ft x 5 ft portrait is part painting and part three-dimensional collage of cardboard, rope and several artifacts he collected from the 1860s.